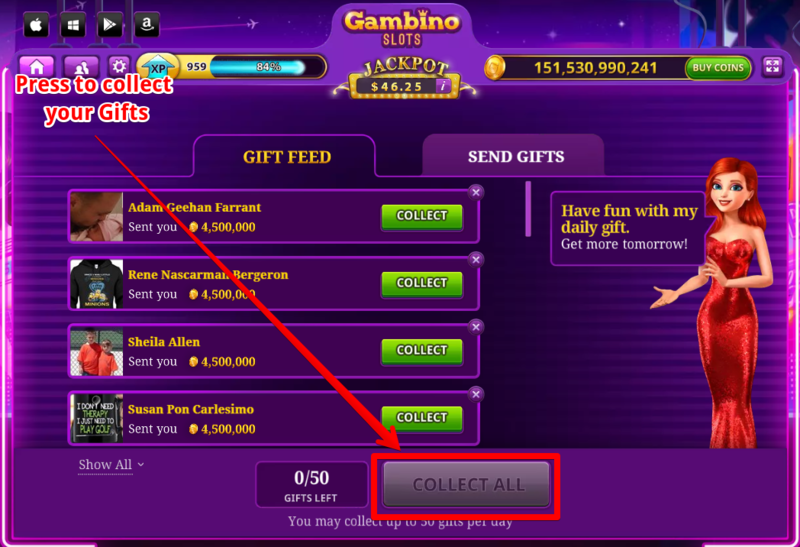 At Gambino Slots, in an effort to encourage our players to help one another, we enabled Gifts sharing. - You can send gift G-coins to your friends. - Giving a gift won't cost you anything. - You can send only one gift to any given friend each day. If the gifts are not accepted during 5 days they disappear from the Gifts Feed and don’t bring any G-Coins. P.S. A number of gifts from friends in the gift box cannot exceed the limit of 50,000. The size of the gift is determined by your level and VIP tier. - In the gifts section, there are Gaby’s gift - a special treat for every player - and the last 3000 gifts with your friends’ names from which you received them. The rest of the gifts are displayed without names. - To collect gifts you can push “Collect all” button in the “Gifts Feed” section. You can collect 50 gifts a day. Please note that Gaby’s gift is not included in these 50 and is collected separately. 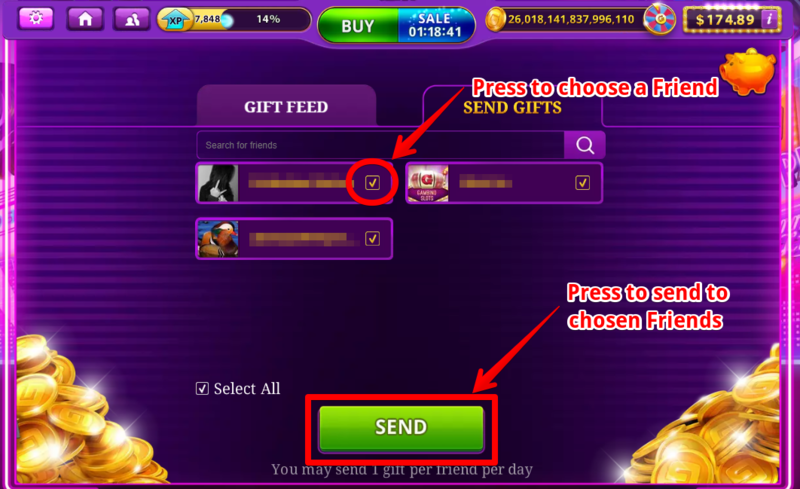 -To send gifts, go into the “Send Gifts” section, choose the friends you want to send gifts to and press "Send Gifts".